Creating a gradient filled text. Currently it's not possible to fill the text with gradient directly. You have to covert the text to polygons. A polygon can be filled with gradient. Enter 'Love', select font size，OK to generate the outline. 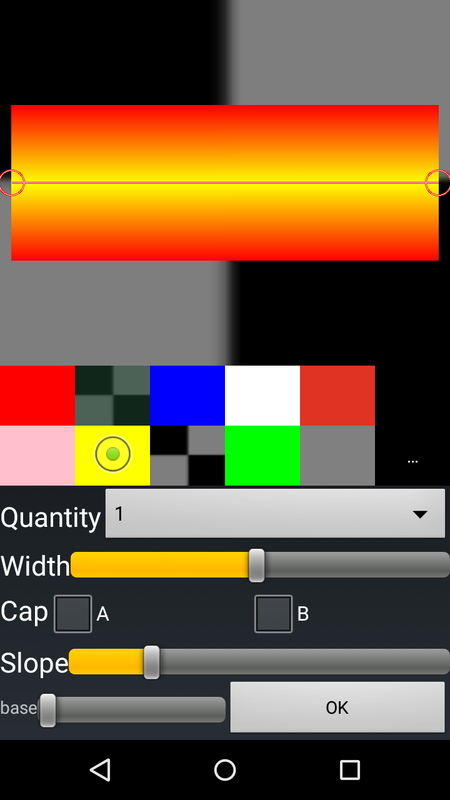 Tap the rectangle of the toolbar, the outline is filled with a color. tap the outline，tap the edit icon at the bottom left. 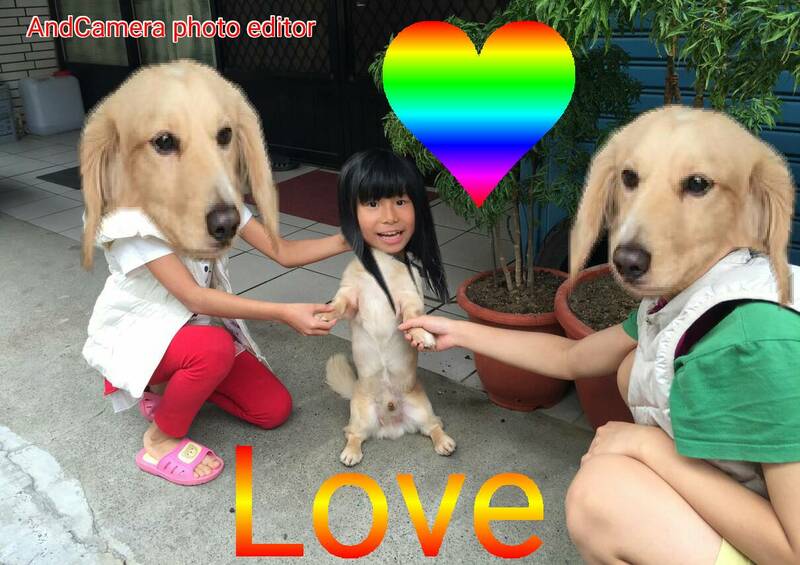 Tap the background color, the background color of 'Love' is red. Tap the gradient menu item. 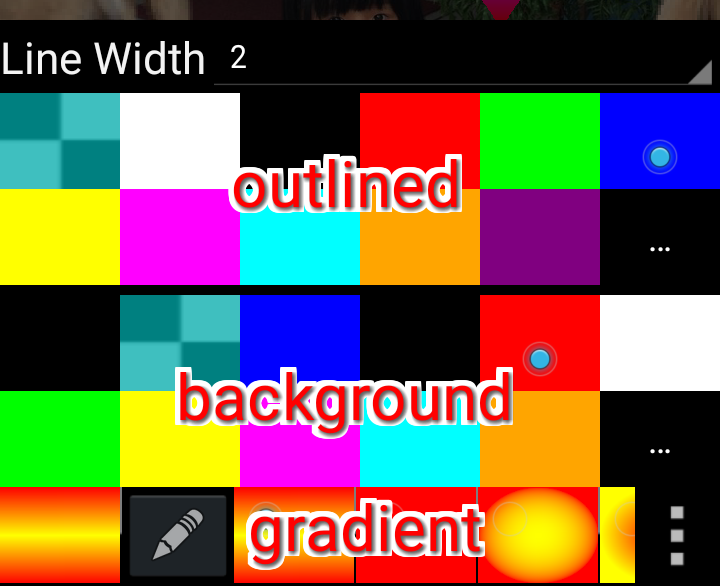 How to change the foregound color of the gradient. Click the of gradient list to invoke the gradient editor. Change the gradient color here. The foregound color Love example is yellow. To rotate/flip the text， tap 'Image stamp' to covert it to an image stamp. 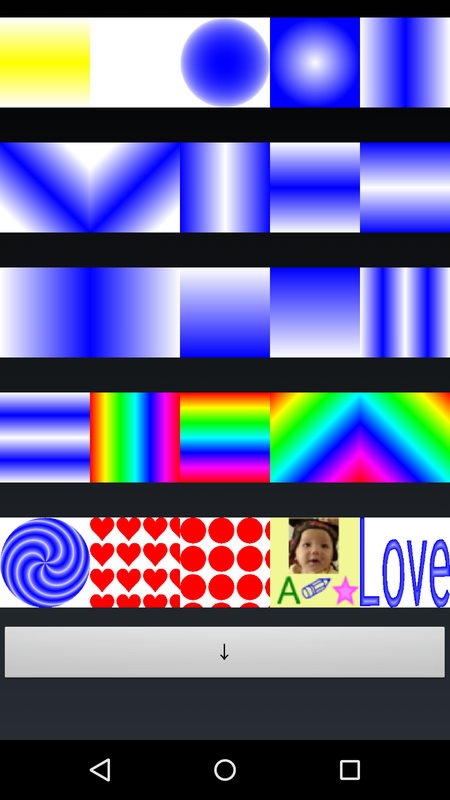 Tap the rectangle of the toolbar, the ♥ outline is filled with a color. Tap ♥, tap the edit icon ✎ at the bottom left. Scroll the menu list of gradients，the rainbow gradient is the last one. Tap the rainbow gradient. 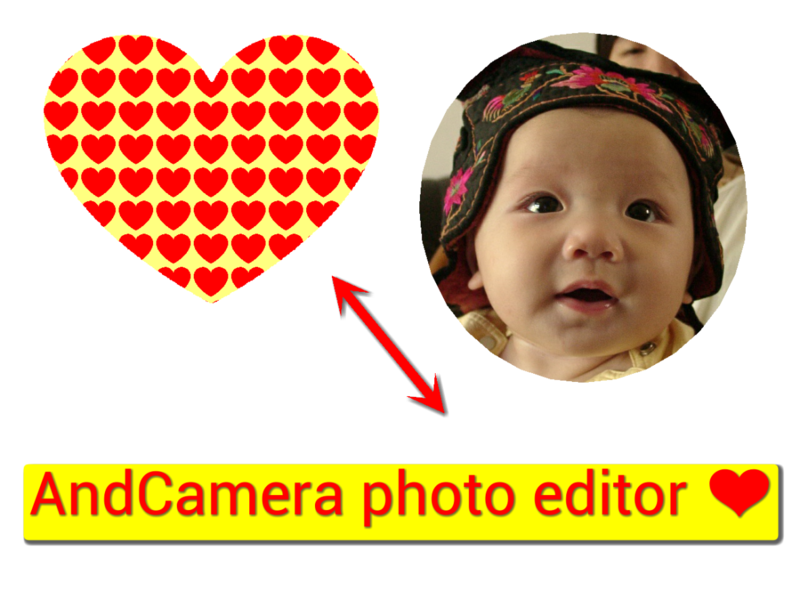 The same method can be used to fill a polygon with text/symbols or a photo.